City Loop Bus "Akai Kutsu"
"Akai Kutsu" is a bus that runs through the Yokohama Bay area from Sakuragicho-Station and offers you 2 different routes. 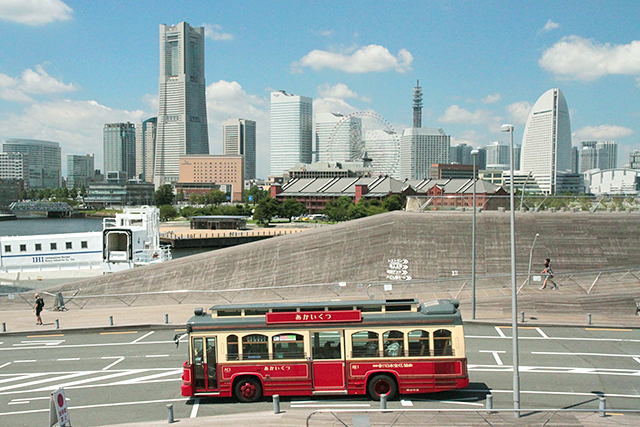 The buses of Route C run through the "good old Yokohama", among buildings of architectural styles typical of the post-Meiji period and the port. 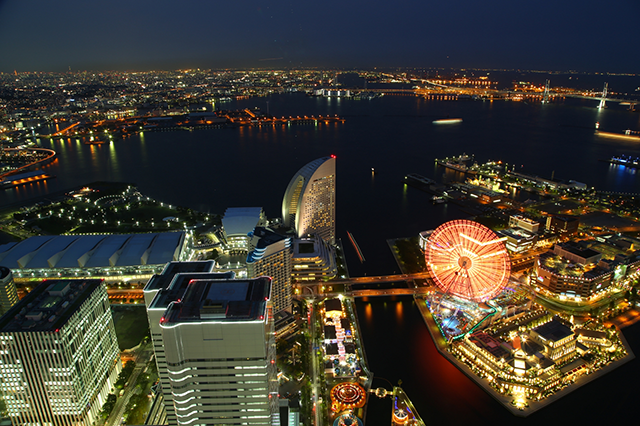 And those of Route M, run through the "new Yokohama", that is, the Minato Mirai area, adorned with modern architecture and urban designs. 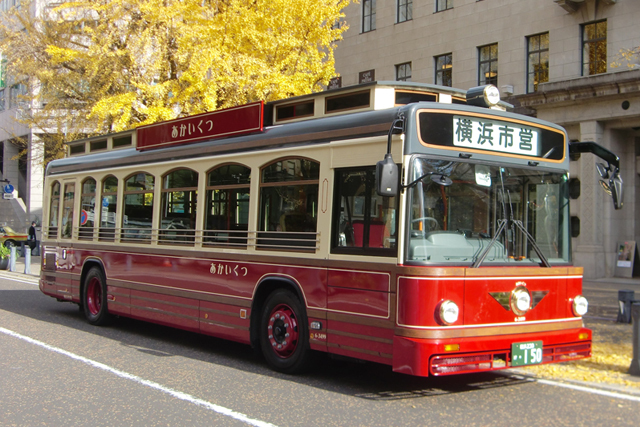 Enjoy sightseeing in Yokohama in this retro-style bus made in the image of trams! 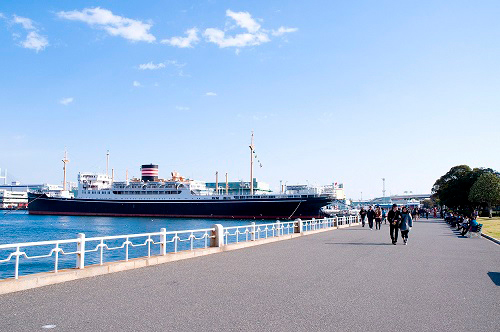 Enjoy Yokohama to the fullest! 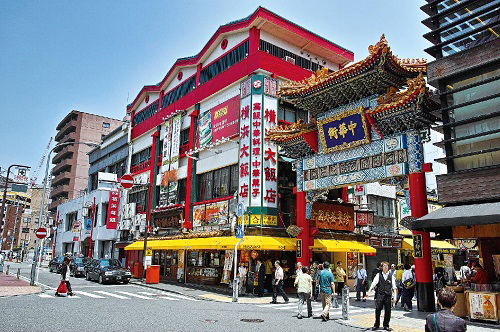 For those who want to go directly to Chinatown, you can also go on a regular city bus departing from Sakuragicho station. from Sakuragicho Station each bus runs at 16 to 20 minute intervals. The first bus departs at 10:00 a.m. and the last one at 6:26 p.m.
from Sakuragicho Station each bus runs at 12 to 15 minute intervals. The first bus departs at 10:00 a.m. and the last one at 7:30 p.m.
from Sakuragicho Station each bus runs at 54 to 72 minute intervals. The first bus departs at 10:14 a.m. and the last one at 6:20 p.m.
from Sakuragicho Station each bus runs at 56 to 60 minute intervals. The first bus departs at 10:10 a.m. and the last one at 7:06 p.m.
For each adult (parent or guardian over 6 years old) up to two children (from 1 to 5 year-old, pre-school children) can ride free of charge. If the child travels without the company of a parent or guardian, then they must pay the child bus fare. Get on through the front door and use the rear door to get off the bus. The fee is paid when getting on the bus. When getting on, if you have the ‘Minato Burari Ticket’ or another one-day ticket, show the driver the side of the ticket with the date of issue imprinted. 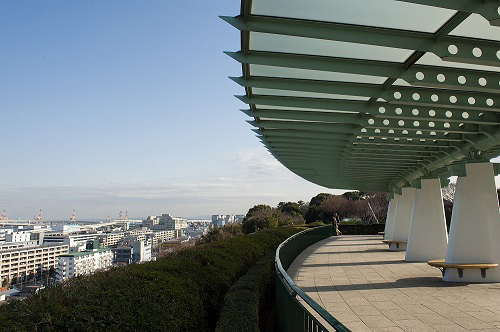 We recommend you to use the "Minato Burari Ticket", which gives you free-ride to all the "Akai Kutsu" buses, "Burari Sightseeing SAN route" buses, as well as other city buses and Municipal subway Blue Line Within the Yokohama Bay area. For those who come from Shin-Yokohama station, by obtaining the "Minato Burari Ticket-WIDE" you have access to a wider area including this station for a good deal. * You cannot get on or off at stations between Shin-Yokohama station and Yokohama station. The best use of "Minato Burari Ticket"
Only by showing the ticket, you can get several types of services and special offers in about 90 of our affiliated stores within the city. 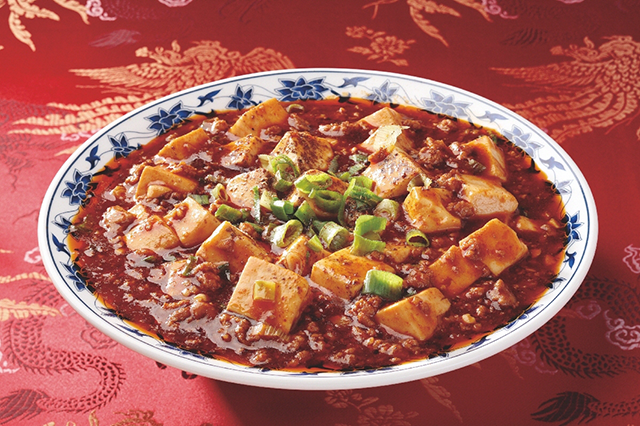 The name "Akai Kutsu" was decided by public vote of Yokohama residents. 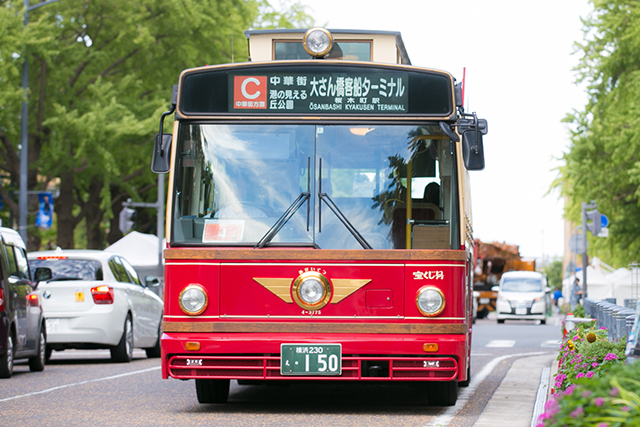 "Akai" (red) representing the color of the retro-style bus, and combining it with the name of the Japanese children's song ‘Akai Kutsu’ (meaning "red shoes"), perfectly representing it as the new and convenient transportation for sightseeing through Yokohama. 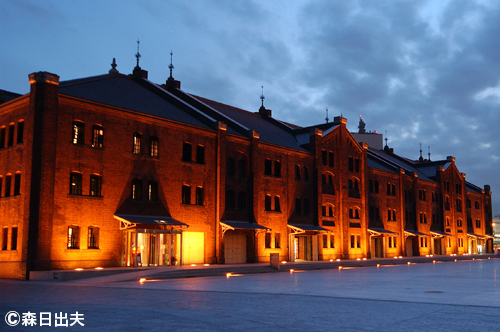 Also the interior has retro designs similar to the red bricks of the Yokohama Red Brick Warehouse, although there are also a few vehicles with bell designs decorated in the image of boats of the Minato Mirai marine area.Try and look for them! In fact, the registration plate number of all "AkaiKutsu" bus vehicles is "150"! This is to honor the 150th anniversary of the Yokohama port opening celebrated in 2009, the same year that "AkaiKutsu" buses started to run.